quickbooks online estimate ID estimateid custom transaction faq How do I get LMN EstimateIDs to Export to Quickbooks Online Estimates? 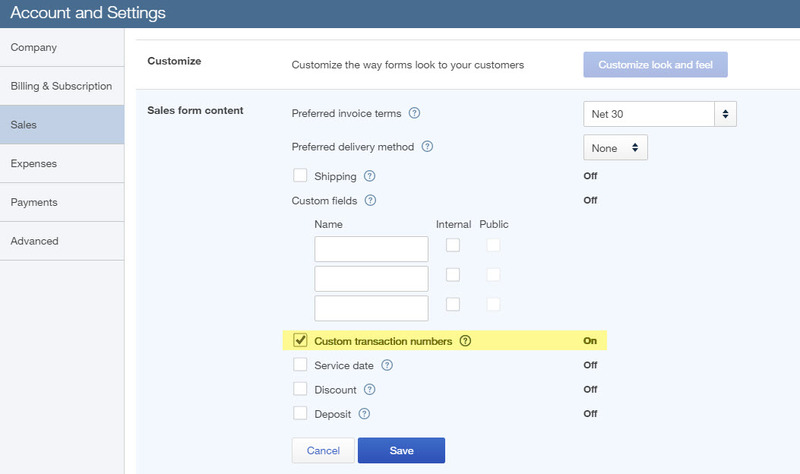 In order to use LMN's EstimateIDs in Quickbooks Online, you have to change a setting in Quickbooks online to allow you to use custom transaction numbers. Here's how to turn that setting on. In Quickbooks Online, click the Settings menu (it looks like a gear beside your company name in the upper right-corner of the screen). Now, your QB estimate IDs will match your LMN Estimate IDs on export.